It’s extremely simple; we just pass on our advertising commission straight to you, as cashback. It’s the perfect way to earn easy money online. Browse our site and choose from 1000s of retailers and exclusive cashback offers. You’ll typically get at least 5% more cashback with us than anywhere else in the UK, and if you do find a better rate elsewhere we’ll beat it. 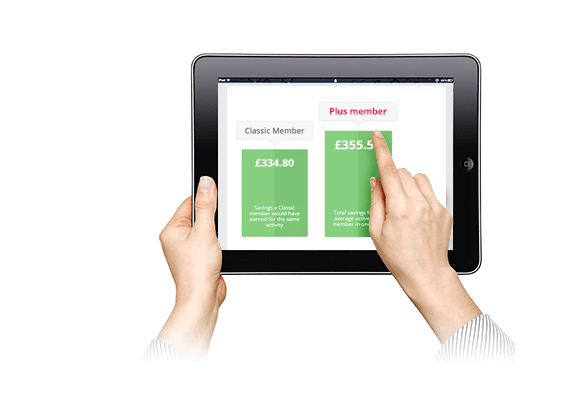 We were the first cashback site in the world to be completely free, and to pass 100% of the cashback onto our members. We have well over 5,350 stores listed on our site (and this list is always growing). No other UK cashback site has more. And finally, at the time of writing, we are the highest rated UK cashback website on the independent review site, Trust Pilot. Joining TopCashback on our most popular Plus membership, you’ll gain access to higher cashback rates and bigger bonuses in exchange for £5 of your annual earnings. If that's not for you then our Classic option is totally free to use. It’s not just online shopping that you can earn from. 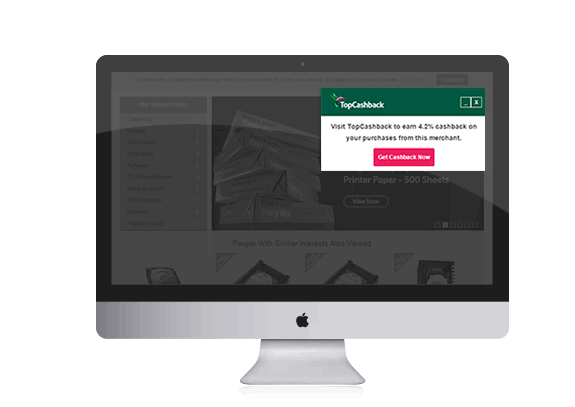 Our OnCard feature allows you to also earn money back when you shop with selected retailers in-store. Before shopping in-store, simply and securely register your debit or credit card with us, browse the retailers available, then earn away. 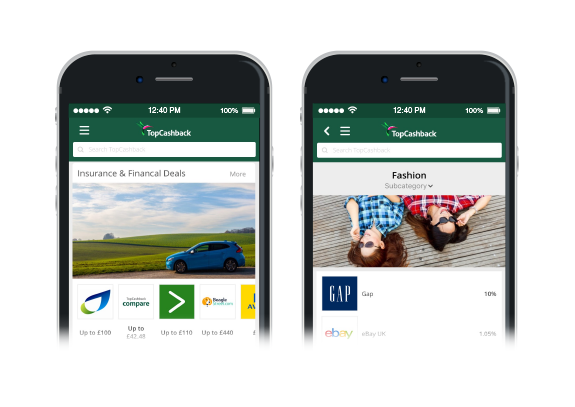 Earn more cashback with our app: in-store vouchers, Snap & Save and instant account access, all at your fingertips and on the go. Available exclusively on the app, you can earn cashback on everyday grocery items by snapping a photo of your in-store receipt. Compare the best quotes out there from 125+ leading insurance providers and earn cashback whilst you do so. Savings all round! 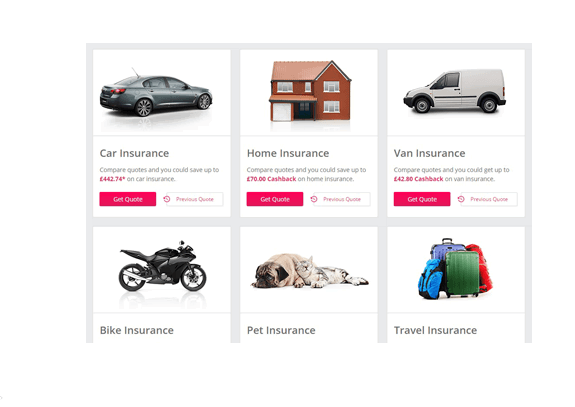 You can even return to saved quotes and complete your purchase over the phone, all whilst saving money and getting the best insurance deal you can. Impressed? We are! We offer loads of fantastic pay-out options, many of which will earn you even more cashback. 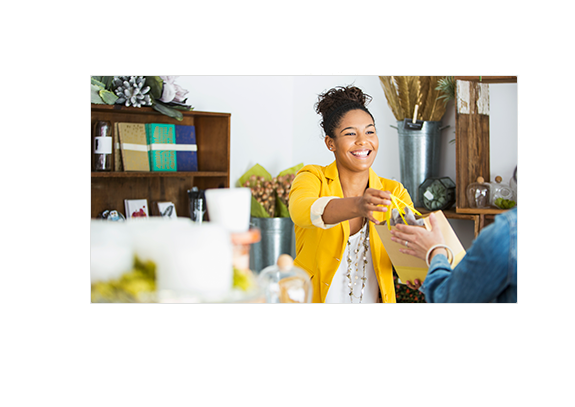 Choose from a bank transfer, PayPal payment, or to receive an extra bonus of up to 10% on top, you can exchange your payable cashback for a wide range of high street gift cards, including Amazon.co.uk, M&S, and Argos. We were established in 2005 and we’ve gained some very impressive stats along the way.